May be used in soil or hydroponics. Leaf feeding may be beneficial. 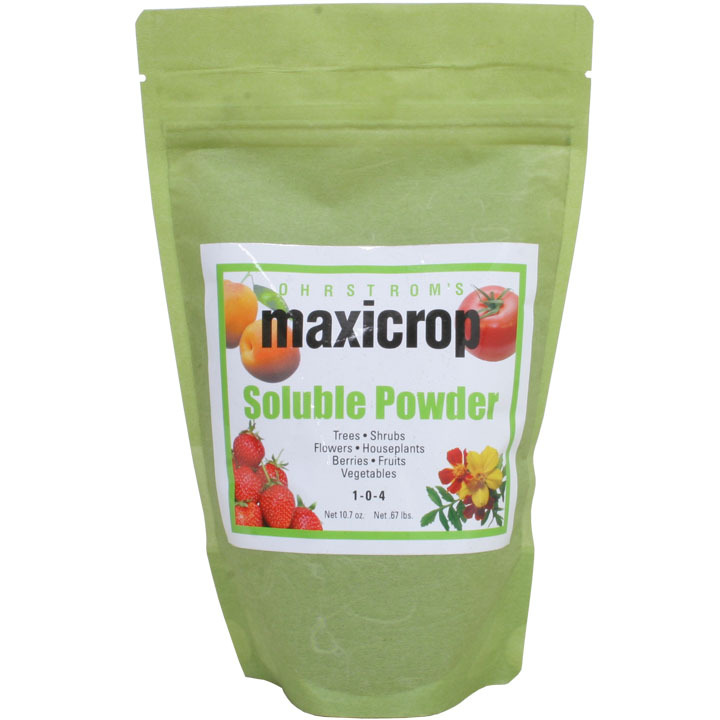 MaxiCrop's basic pure seaweed extract's natural growth stimulants initiate cell growth and cause vigorous growth of both root and stem. 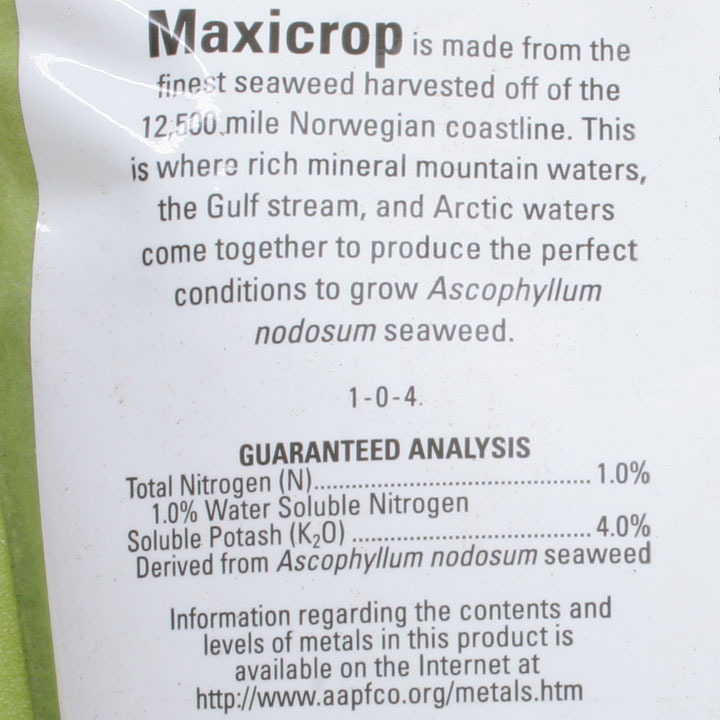 The trace elements that Maxicrop Liquid Seaweed contains are important at this stage in enzymes, as activators of enzyme systems, and as stimulants. Soaking Seeds & Bulbs: Soak overnight in solution of 1 teaspoon to 1 gallon of water. After planting, water with same solution. Seedlings: Water with solution of 1 teaspoon to 1 gallon of water each week. 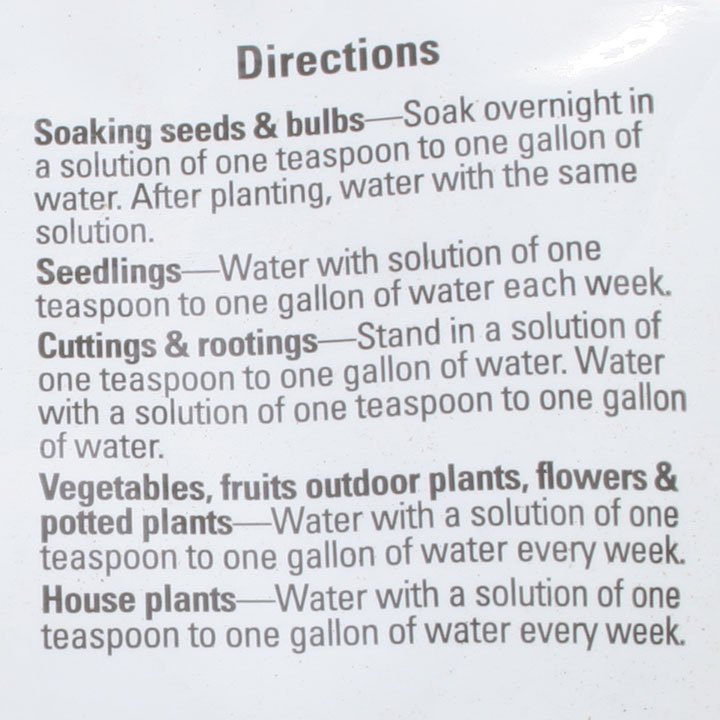 Cuttings & Rootings: Stand in solution of 1 teaspoon to 1 gallon of water. Water with solution of 1 teaspoon to 1 gallon of water. Vegetables, Fruits, Outdoor Plants, Flowers & Potted Plants: Water with solution of 1 teaspoon to 1 gallon of water every week. Indoor Plants: Water with solution of 1 teaspoon to 1 gallon of water every week.